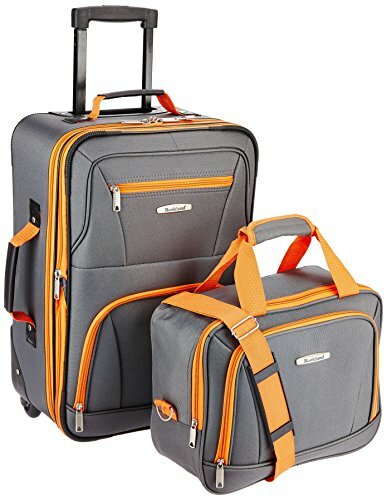 The Delsey Luggage Helium Aero International Spinner Luggage carry on boasts hardside construction, dual packing compartments, and an expandable main compartment. 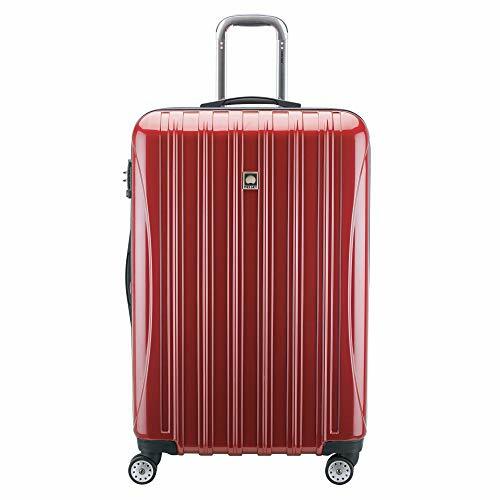 In the 50 years plus DELSEY has been in business, it has produced some of the finest carry-ons for holidaymakers and professional globetrotters alike. 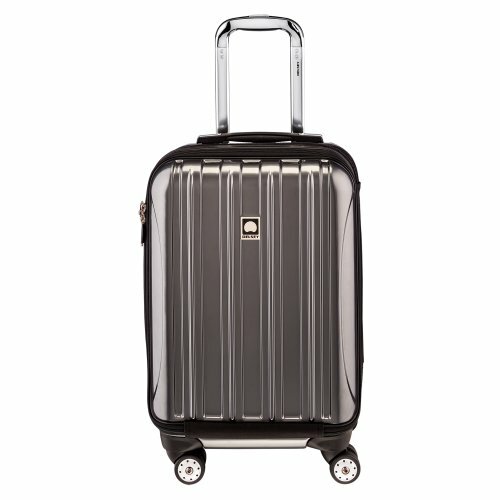 The Delsey Luggage Helium Aero International Spinner Luggagealso comes with multi-directional wheels which makes transporting it easy. You also don’t have to worry about your luggage going missing as it also comes with a TSA-approved lock which ensures everything is safely secured. 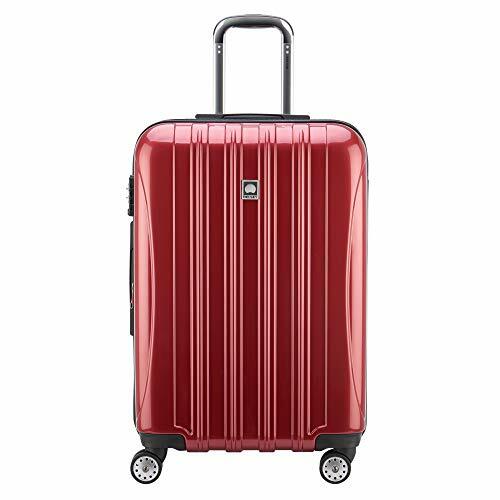 As mentioned in the introduction to this review, the Delsey Luggage Helium Aero International Spinner Luggage features hardside construction to protect its contents from the knocks and bumps which commonly come with traveling. Its plastic shell is comprised of 100% polycarbonate, a versatile plastic so durable that it is commonly used in jet plane canopies and bullet-resistant windows. 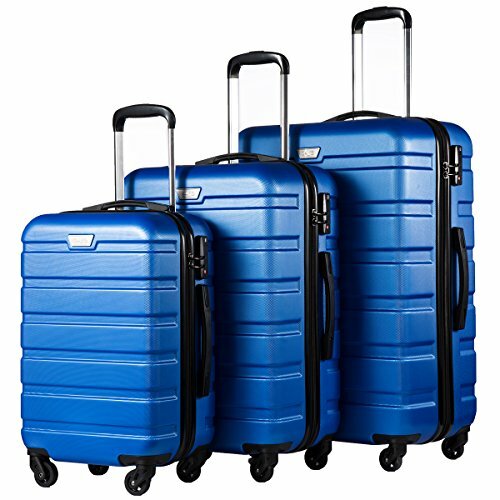 Polycarbonate is also a popular choice in the manufacturing of hardside luggage as it is softer than similar plastics and is therefore able to mold to absorb the shock of being dropped on a hard surface before popping right back into its default shape. Although the warranty of a product generally doesn’t rank amongst its most notable features, we make an exception for the warranty of the DELSEY Helium Aero as its lengthy validity is a testament to the brand’s confidence in its product. Owing to the expert craftsmanship which went into the Helium Aero and its resilient polycarbonate shell, DELSEY has no problem backing each model with a 10-year limited warranty. Should the exterior of the Helium Aero crack or its fabric interior tear, you will experience little difficulty in obtaining a repair or replacement within the first ten years after purchase. 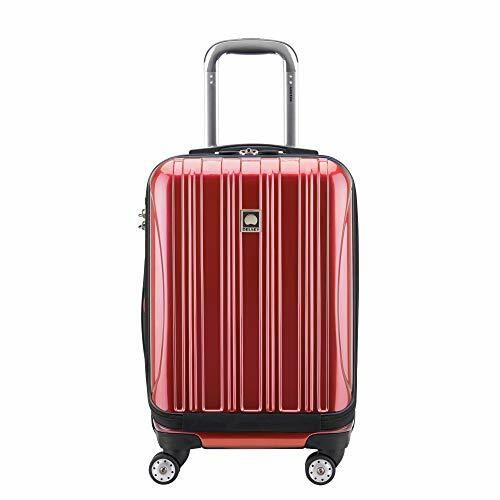 In the eyes of many experienced travelers, it is this generous warranty which justifies the high price of the case (DELSEY generally asks for a little over $100). 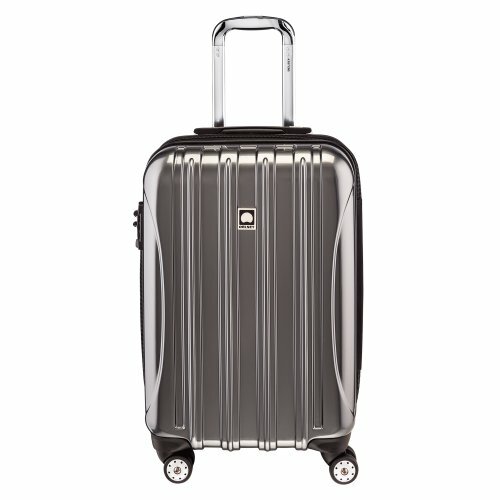 One of the major selling points of the Delsey Luggage Helium Aero International Spinner Luggageis its high capacity. 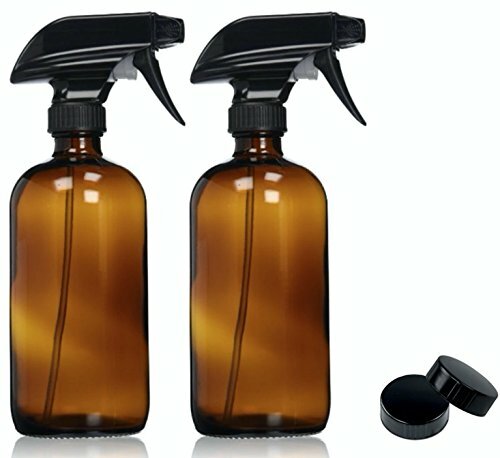 DELSEY achieved this high capacity by splitting the case into two fully-lined halves: a soft half and a hard half. The soft side features one large compartment while the hard side boasts a 50/50 split opening with dual compartments. 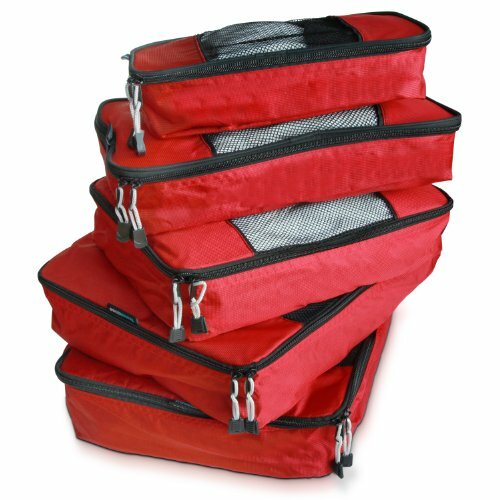 Also featured is an integrated compartment intended exclusively for laptops, so you won’t have to worry about finding space for your MacBook among your t-shirts and toiletries. 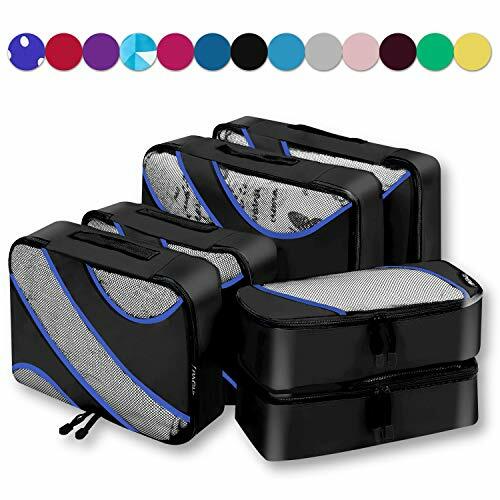 The main compartment of the case is expandable, which means the capacity of both the hard side and the soft side can be further increased to create extra space when packing. 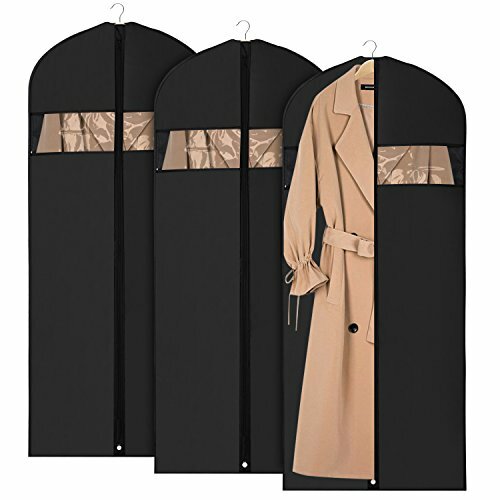 This is particularly advantageous for those who are planning to be on the road for more than a couple of days and don’t want to have to lug multiple cases with them as they travel. With its expandable feature and a little bit of determination on your part, there’ll be nothing to stop you from carrying a week’s worth of clothing in the DELSEY Helium Aero. One of our favorite features of the DELSEY Helium Aero is its lightweight design. When empty, this case comes in at just 7.5 pounds (although if purchased online you’ll be paying for a shipping weight of 10.25 pounds). At such a light weight, it is unlikely this case will be in violation of the luggage weight limits set by your airline. Obviously, the lightweight design of the Helium Aero makes it easy to transport by hand, but this did not stop the manufacturer from fitting it with four multi-directional wheels. 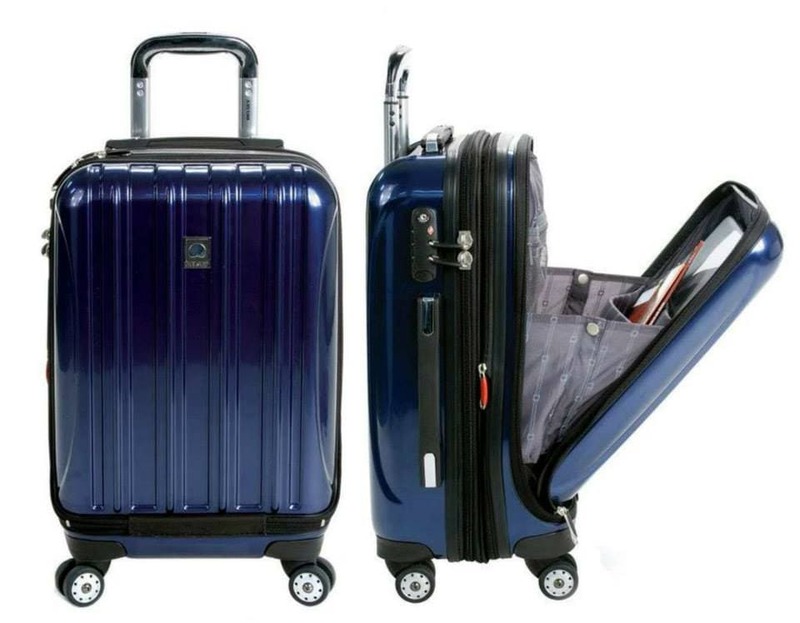 These wheels allow the case to be either pushed in front of you or dragged behind you without putting any strain on your arm or shoulder, while their spinning feature gives you the ability to change course as the size of the airport crowd necessitates. Having sung the praises of these wheels, however, we do feel the need to point out a number of DELSEY customers have reported one wheel or more falling off their Helium Aero after just a couple of trips. This is, of course, covered by the product’s aforementioned 10-year limited warranty, but it is a major inconvenience nonetheless. For a traveler, there are few things more unnerving than the thought of somebody accessing the contents of their suitcase without the authority to do so. While you may understandably like to convince yourself it is unlikely, the threat of an airport thief attempting to break into your suitcase is very real, which is why DELSEY took it upon itself to fit the Helium Aero with a TSA-approved lock. This combination lock ensures the contents of your suitcase are protected from prying eyes and hands and cannot be accessed by anybody but you and, if deemed necessary, an official TSA representative. It is important to note, however, the TSA-approved combination lock of the DELSEY Helium Aero is located on the hardside only and so will not protect any valuables stashed in the case’s soft side. 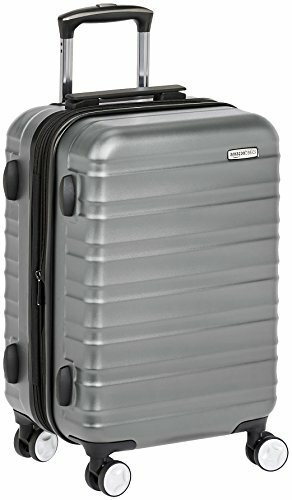 Given DELSEY’s reputation as a manufacturer of premium traveling equipment, you’re unlikely to get a DELSEY product for a low price, so you should probably avoid the Helium Aero and all other cases bearing the brand’s name if your main concern is keeping your expenses to a minimum. 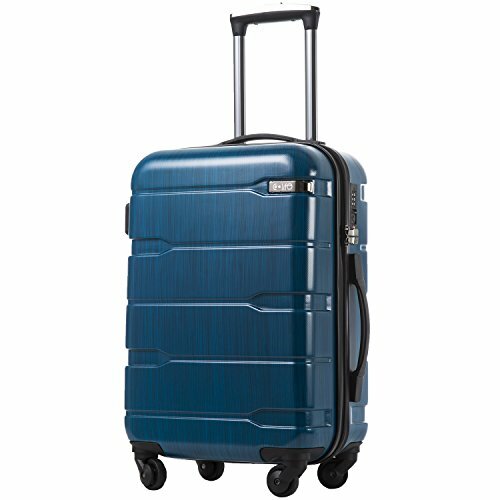 That being said, if you have a little bit of room in your budget and need a case which will hold up under an intense or above-average travel schedule, you should give serious consideration to the DELSEY Helium Aero. 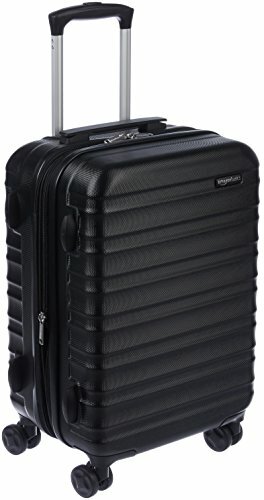 Don’t get us wrong, we’re not saying this is the best carry-on on the market – we have examined several less expensive models which we found equally impressive – but it is certainly a contender for that title and its claim is legitimized by its expandable capacity, its lightweight design, and its sturdy polycarbonate exoskeleton.